The team at Mechanical Air Conditioning remains committed to customer satisfaction. We are confident in our services, products, and HVAC specialists. So to our friends and neighbors, we thank you for making Mechanical Air Conditioning your preferred HVAC contractor. I have to give Mechanical Air 5 stars! Their service is top notch; Leo made everything effortless for us from beginning to end and Martin did an excellent install job!! Thanks to everyone at Mechanical Air for wonderful experience. Ahmed from Mechanical came by today to do our regular 6 month maintenance on our AC/Heating system. He was so professional and knowledgeable. Although our home was only a year 1/2 old he discovered a potential problem that would have cost us a lot of time & money. It's so refreshing to have someone that really cares about the customer.. This company is wonderful. I had an issue last night and the owner called me immediately and even asked if I needed someone out the same evening. This company is the best and I will only use them for now on. Very quick to respond and show. I had an problem with my unit. It was blasting hot air all over my house. I called Mechanical A/C, and they fixed my unit by the end of the day. I don't recall my technician's name, but he was courteous and efficient. The driver was friendly and enticing as well. just had a new air conditioner installed by Mechanical Air Cond. i could not have been more happy with the installation and tedhnician, he was very knowdgeable and courteous and cleaned entire area after job was finished. very refreshing experience. I first called Mechanical AC when my air went out after a storm... rather than taking my money for a service call I didn't need, they had me make sure the unit was properly reset and Alas... I no longer needed them to come out. Over a year later, I decided it was time to replace my 13 year old AC. I took quotes from 6 different companies, and Mechanical AC easily offered the best value. Steven did not try to up sell me on anything, used my existing Thermidistat (I asked about upgrading to a Nest but learned Nests do not have humidity control, so my existing was already better). Marvin came out last week and did a fantastic job installing both the indoor and outdoor unit. The process was quick, communication was excellent, and I've very pleased with the new unit. Just wanted to put in writing that I am extremely happy with your company, Mechanical Air Conditioning Corp., as regards the installation of my new Carrier Performance Series central air conditioner. These are my thoughts: 1.You gave me an exceptionally good price for the system. 2.You were prompt in scheduling the installation. 3.Your installers were obviously well trained, very efficient with the installation, and friendly. 4.I am truly impressed with the cooling. And both the air handler and outside compressor are extremely quiet. 5.When your installers left at the end of the day, my garage was cleaner than when they came. Thanks so much. Your company gets a 5+ out of 5 rating from me! We are extremely happy with our new Carrier A/C system. The entire process from quote to post follow up, was done on time and professionally. A special "thank you" to our installer, Marvin. Very politye, showed up and finished on time, explained the new system features, set up and took us thru a tutorial on the Core Wifi thermostat and cleaned up before leaving. I highly recommend Mechanical Air and Marvin! I have used Mechanical Air as my AC service company for 5 years. They were always there when I needed them. Knowledgeable and professional staff. I just purchased through them a new Carrier 4 ton two stage AC system. The sales and installation staff were extremely helpful and professional. Good follow up on any open issues. I feel confident with Mechanical Air that I am being treated fairly and honestly. Very reliable. Came home from vacation to no air! The guys from Mechanical Air were there quickly. They worked all day on a tough install to replace my old unit. They were respectful and kept me informed every step of the way. They said they wouldn't leave until I had cold air and that's what they did! Can't recommend them enough! Andrew, a service tech, was at my home this morning 24-Jul-2018. Issues with a evaporator coil leak. Andrew was extremely knowledgeable and friendly. Diagnosed the problem methodically. Neat and very organized. Was great to see Mechanical Air has expertly qualified technicians on their staff. Been a customer for several years now. Absolutely delighted. Cliff the service manager, your tech Andrew is awesome! Almost as good as Curt! Seriously, I am a delighted customer and would highly recommend Mechanical Air. - R. Keller, West Palm Beach, FL. Excellent company to due business with. Used for 5 years for AC service. AC broke on Sunday and installed a complete new system on Monday. Totally professional in every way. I recommend this company in every way. My air conditioning unit was just serviced by Ahmed. i appreciate the excellent service he rendered. Appointment was between 12 and 2. Ahmed arrived bout 12;30. His work was done most efficiently , cleanly , with consideration for me,the customer. Mechanical Air is to be commended for employing Ahmed. We have a home in Canyon Springs in Boynton Beach. We are the original owners of the house. Mechanical Air Conditioning based out of Lake Park installed our original Carrier HVAC system. We have been a maintenance client of Mechanical Air for approximately 12 years as well. They initially installed our Carrier split HVAC system and it continued to operate with minor issues. After meeting with a seasoned professional service rep from Mechanical Air by the name of Tamer in our home we voluntarily made the decision to look into purchasing a replacement system. We wanted to get a "jump" on the HVAC system before the system died on us. 12 years is a good amount of time for a fully functional HVAC system in Florida. We researched and priced various brands and ended up staying with Mechanical Air and their recommendation of a new Carrier system. This included replacing both the in-house air handler as well as the outside condenser. The system was installed by their excellent installer, Marvin. He was as professional and patient as they come. Marvin answered all our questions as the installation went along. 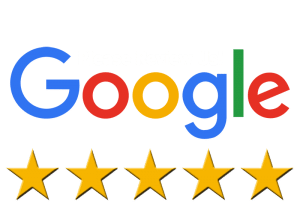 The staff at Mechanical Air including Amanda, Debbie and especially Jason, the Service Manager were knowledgable, patient, and professional. We highly recommend Mechanical Air both for your regular service needs as well as purchasing a new system.